or call Debbee at (401) 793-0097. Anyone who has children with behavioral differences knows how difficult it can be to navigate treatment options. IEPs and therapies can be helpful, but they’re often just the start. In order for kids with special needs to thrive and experience happy, healthy, whole lives, a specialized approach is necessary. This is where Debbee Radcliff of CreatIgo comes in. Debbee is a special education teacher and holistic arts professional with over 20 years of experience. Her professional training makes her unusually skillful in navigating the demands of families that have children with special needs. In working with your child, her focus is on ensuring there will be harmony and success for the whole child (not just the part of the child that’s been labeled as having differences) and for the whole family. And this is where her service becomes most appealing…rather than asking overwhelmed parents to shoulder additional responsibilities, she teaches approaches that work in ways that ease stress. Sessions are playfully interactive; kids feel relaxed as they learn new things about themselves and the world. Children learn to manage sensitivity, replace problem behaviors with acceptable ones, and develop self-esteem. Debbee is the founder of the CreatIgo Method -- a technique that addresses difference through honest communication and positive experiences. Using this method, she assists each child to cultivate a dynamic presence and sense of purpose. Parents with all kinds of children experience improvement after visits with Debbee. She can ease perfectionist tendencies in gifted, overachiever children as easily as she can ease anxious tendencies in children with behavioral issues. Pricing is affordable; clients pay a flat fee by the hour, regardless of how many children are present. For anyone that has questions about how CreatIgo could help their family, Debbee offers an informative initial consultation and flexible scheduling during after-school/after-work hours and during the weekend. She is committed to helping overwhelmed families discover easy, healthy ways to improve their lives. 1) Kids with special needs are different, not unable. When you focus on their strengths as well as their challenges, it becomes clear that there are amazing possibilities for how to promote their thriving in school and beyond. 2) Don’t give up on finding solutions. Parents with kids who are different benefit from thinking outside of the box. 3) Remember that all children are sensitive and that the modern school day is demanding. Play, fun projects, and light-hearted conversations help kids de-stress and avoid behavioral problems. 4) If you find yourself repeating the same instructions over and over, and your child “refuses” to learn, consider whether there might be different ways of communicating that are easier for your child to understand. In other words, sometimes behavior that appears to be defiant or frustrated is caused by a lack of understanding. 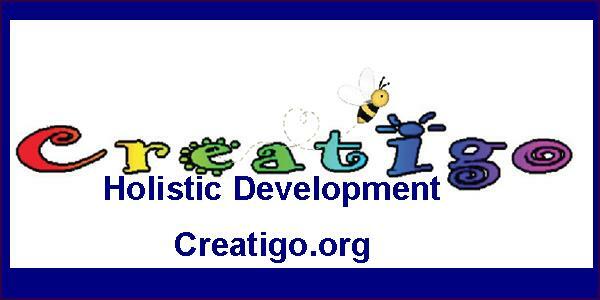 CreatIgo is located at 194 Waterman St, 3rd floor, on the East Side of Providence. Visit http://creatigo.wordpress.com/ for more information or call Debbee at (401) 793-0097.